Port Orange Family Living at its Best! 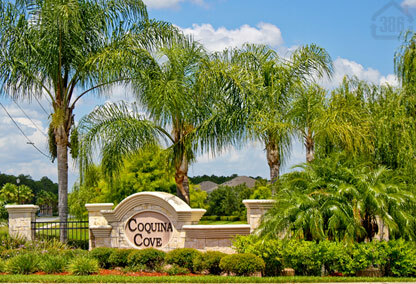 Coquina Cove is an affordable Port Orange community located on the west side of Port Orange close to the new Port Orange Pavilion. The developers of the Coquina Cove neighborhood include DR Horton and Adams Homes. Choose from lakefront lots, conservation lots, and standard lots available in this Port Orange neighborhood. Homes range from 1200 living sq. feet up to over 3,000 living sq. ft. Residents can enjoy convenient access to the Port Orange Pavilion and the Port Orange recreation fields located at the Coraci Sports Complex. Browse Coquina Cove homes for sale below or call us at (386) 527-8577 for personalized assistance.